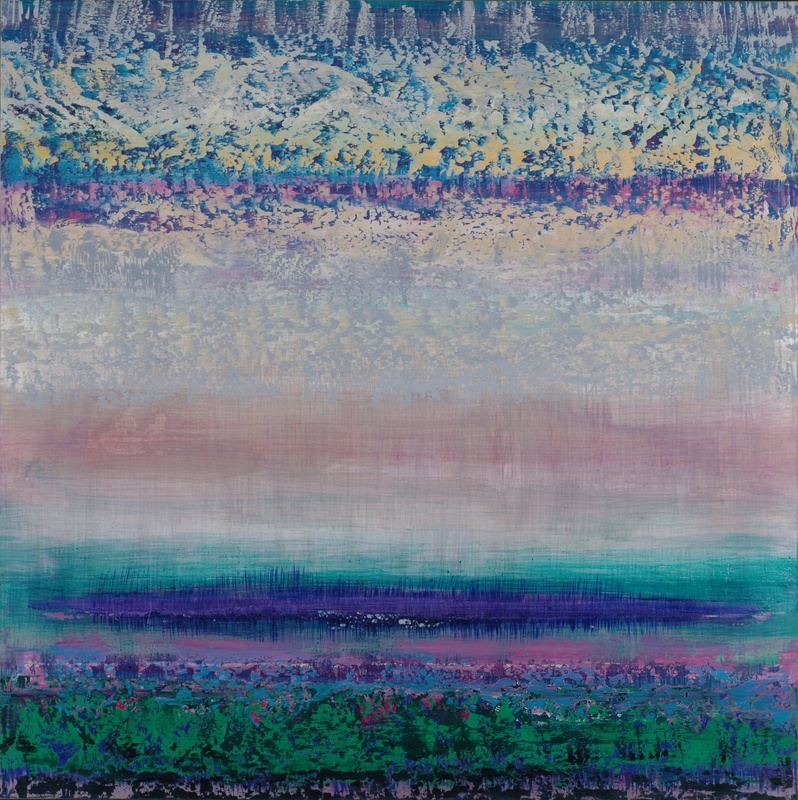 The series is characterized by expressive paintwork in which cracked surfaces, layers of colour and traces of pastose serve as contrast to a metallic background. 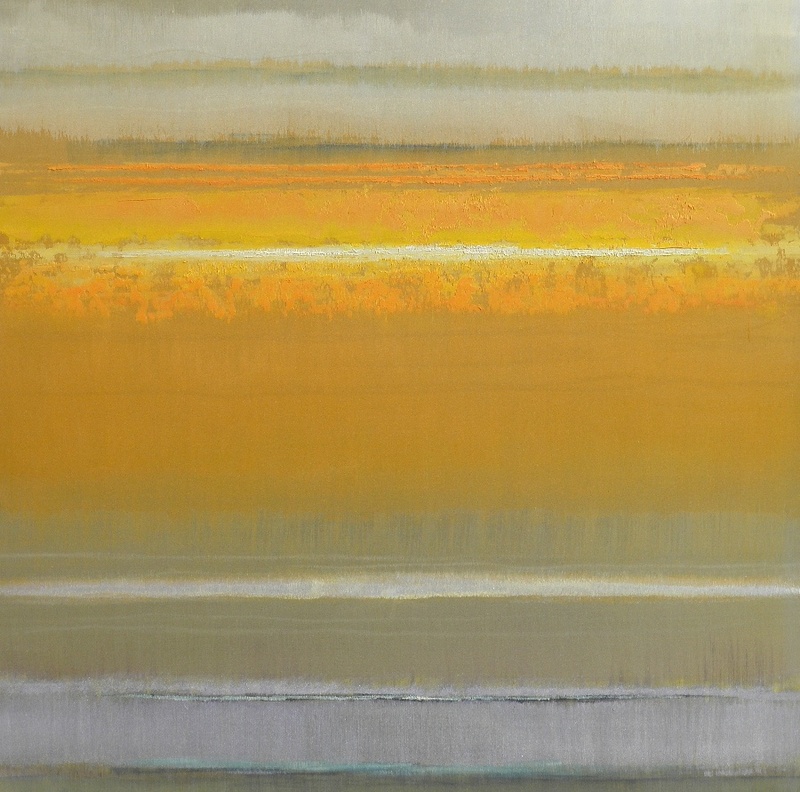 Horizontal layers provide the colours a clear compositional order. 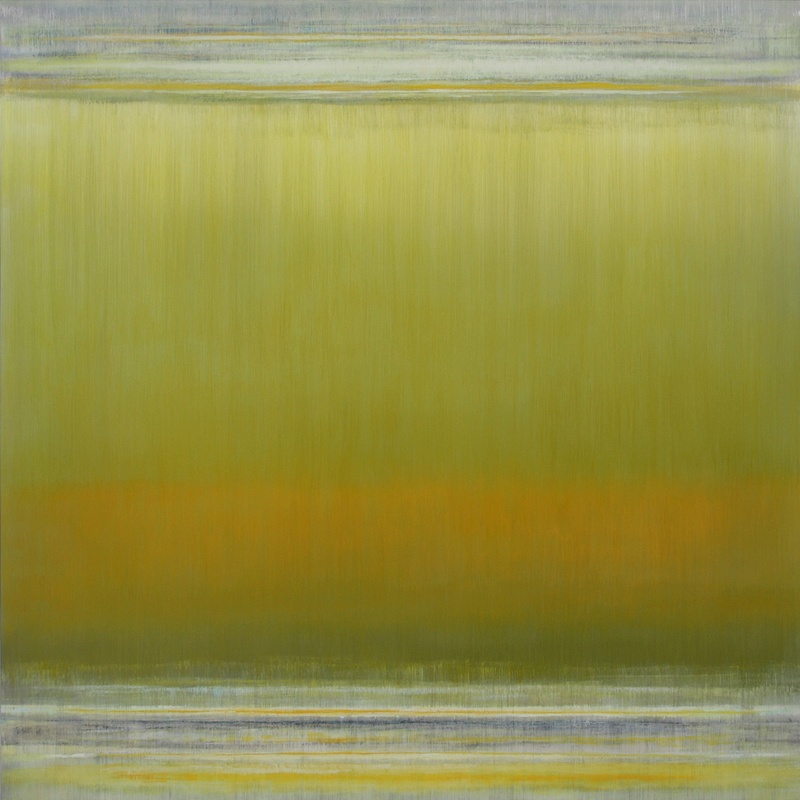 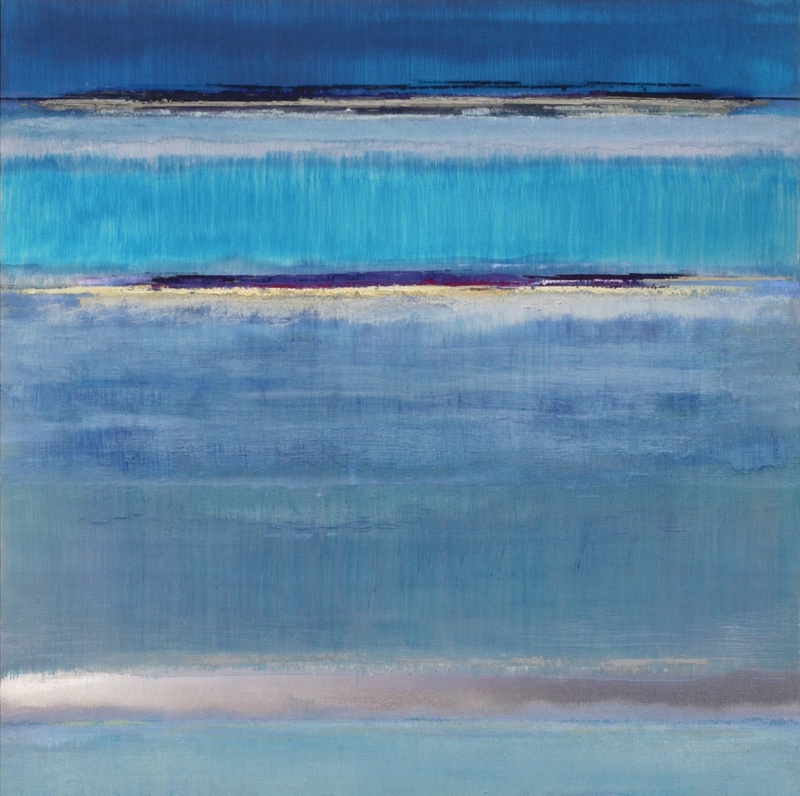 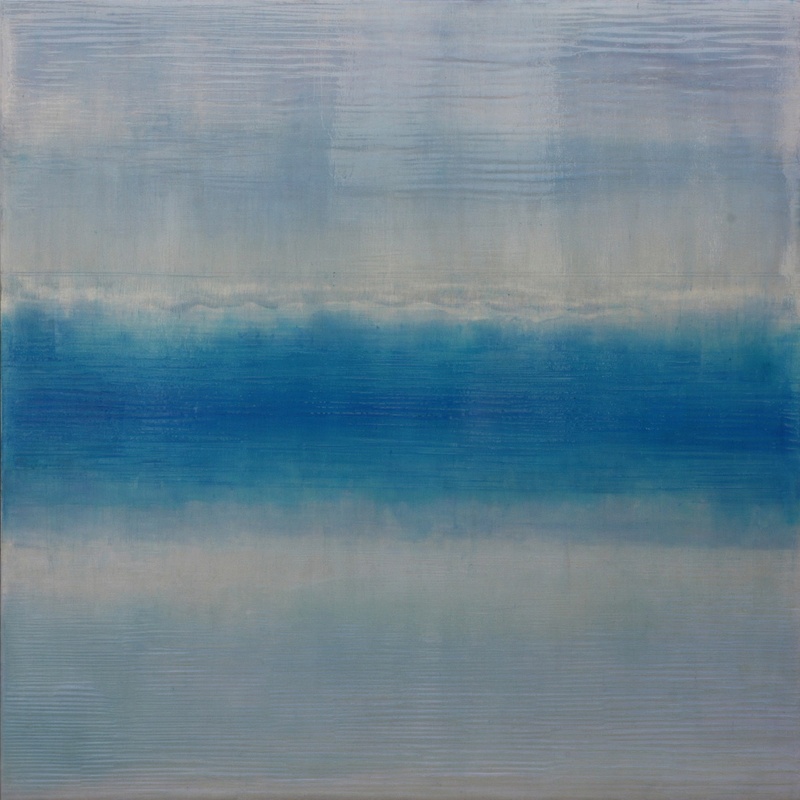 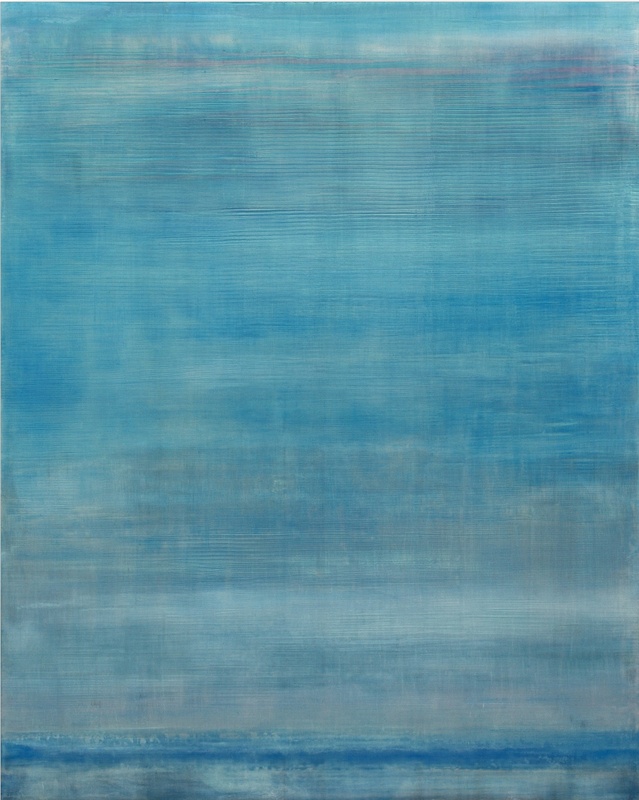 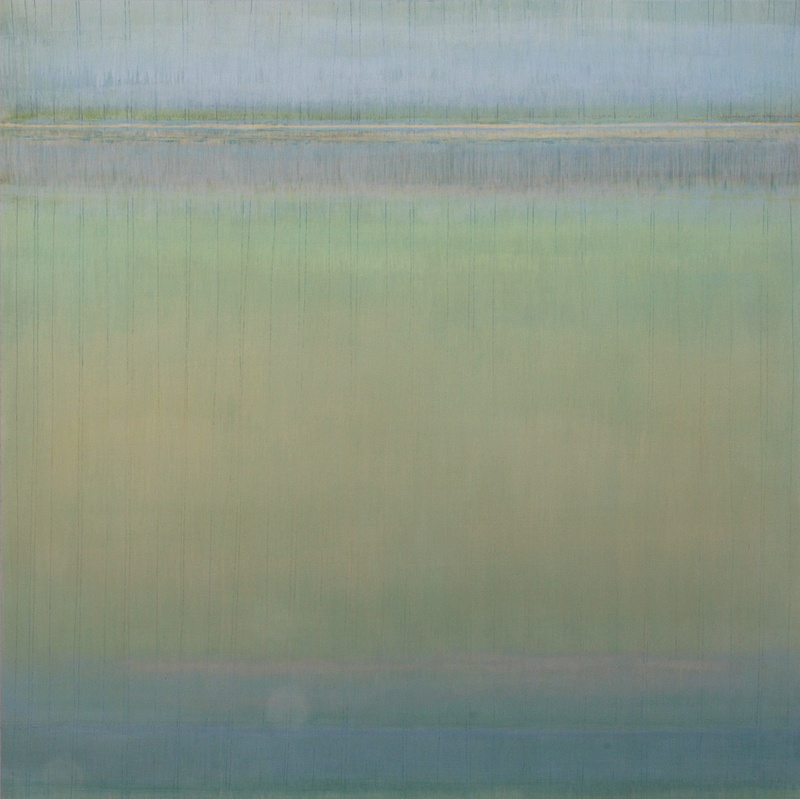 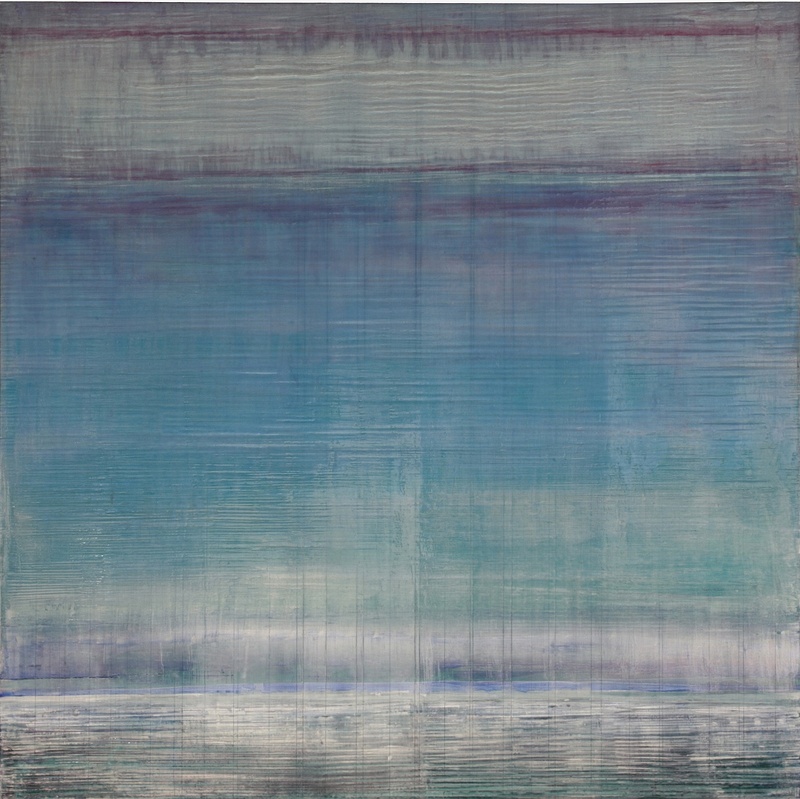 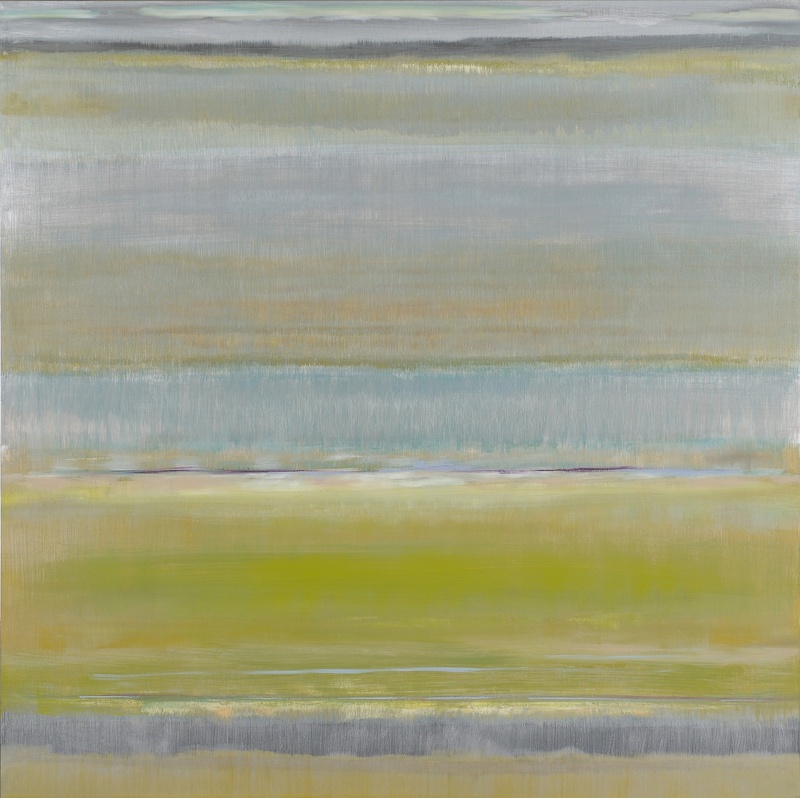 The recent works from the Hebrides Cycle exude again their typical sense of contemplative calm. 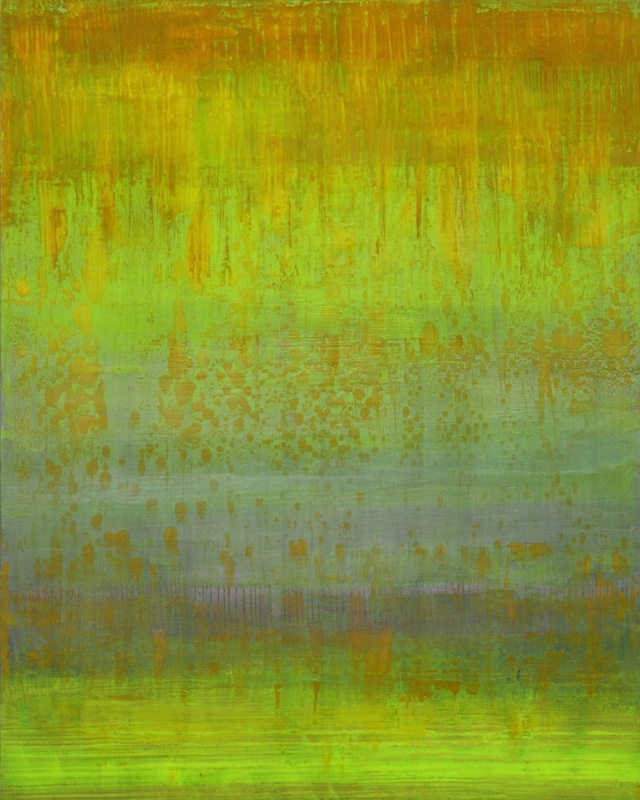 At the same time, their colour space appears to pulsate in fields of light. 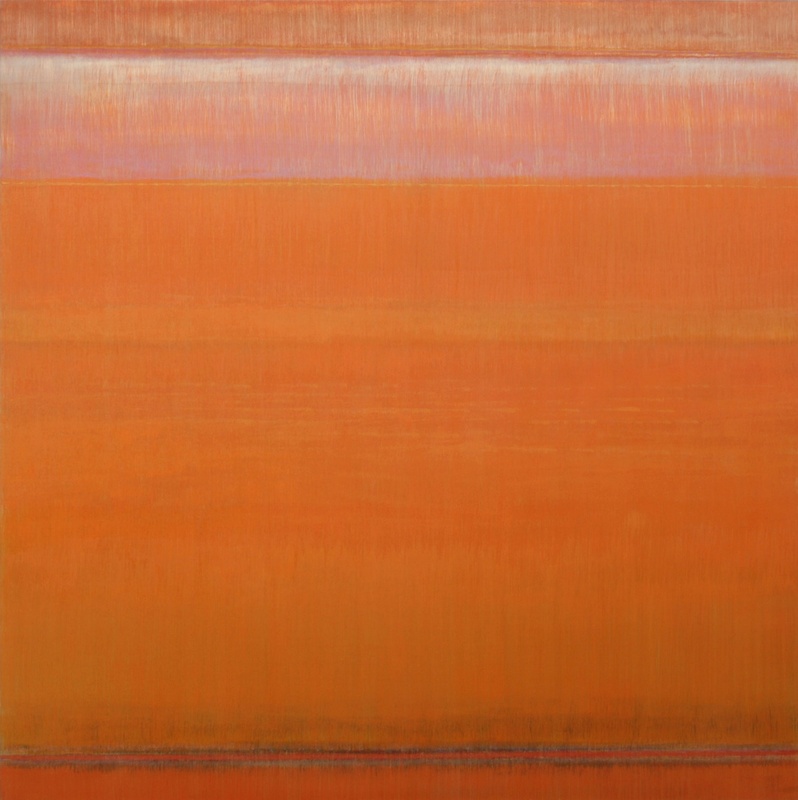 (Several paintings in this series are named after Lucifer, a deity in Roman myth who personified the Morning Star and whose name means ‘Light-Bringer’.) 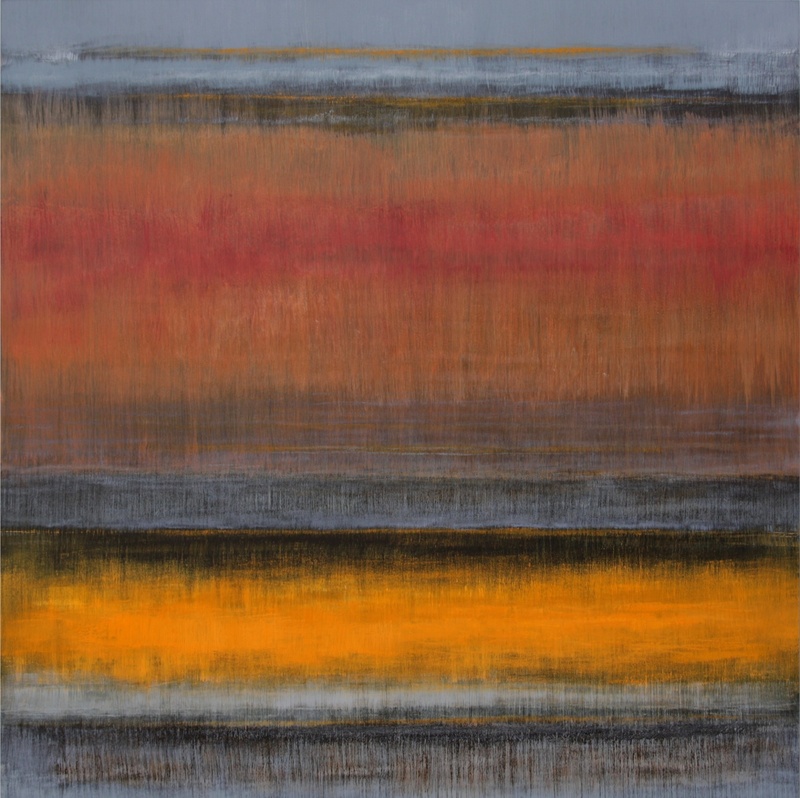 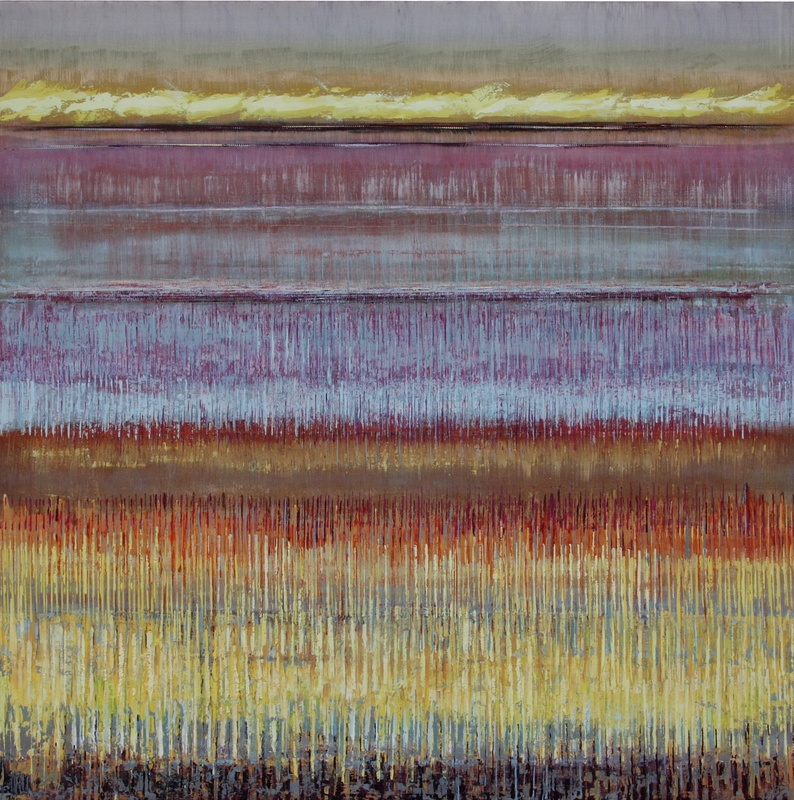 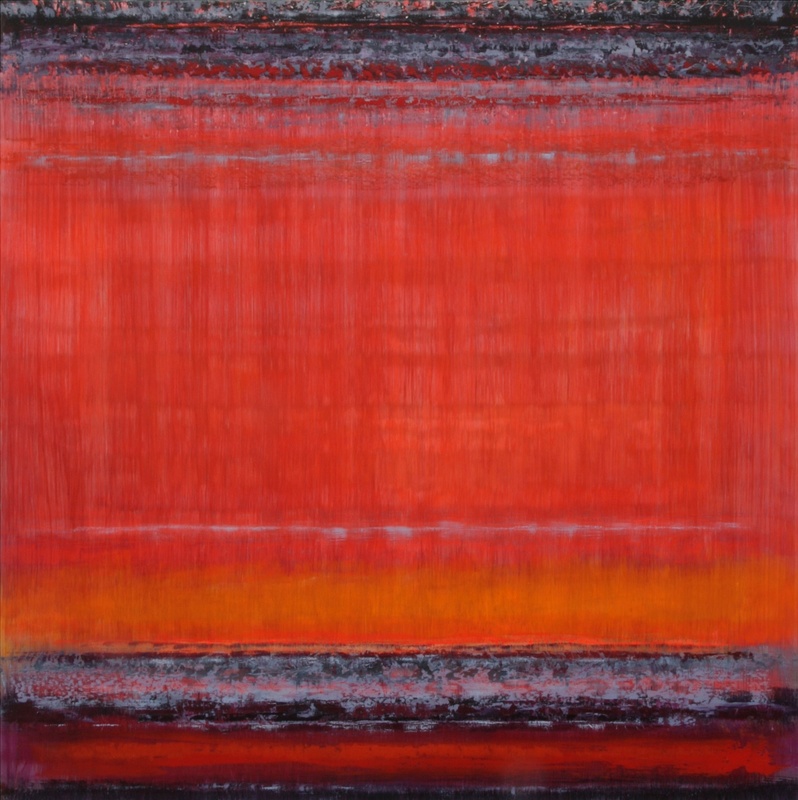 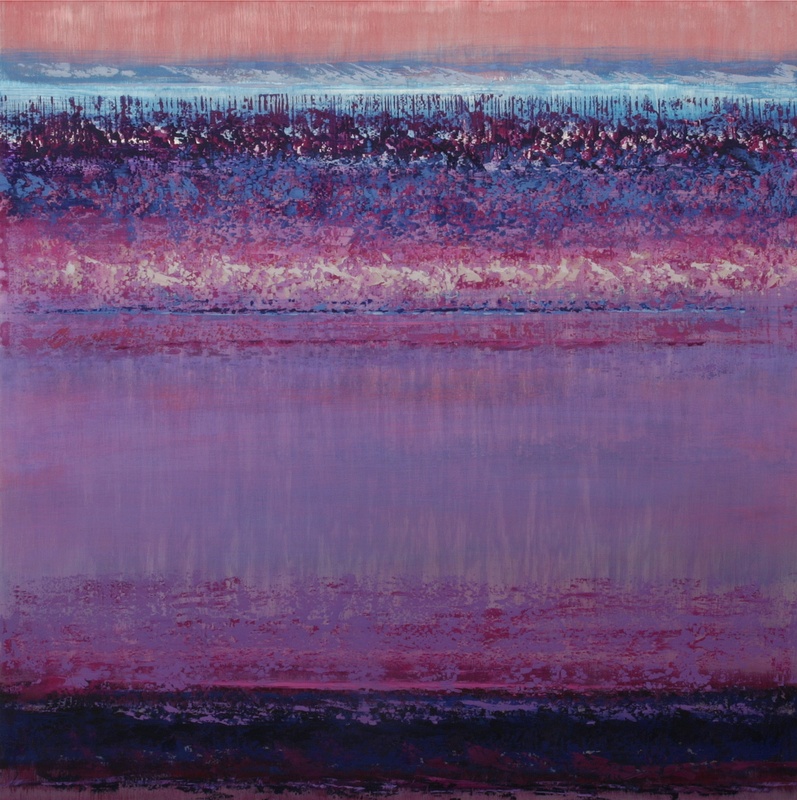 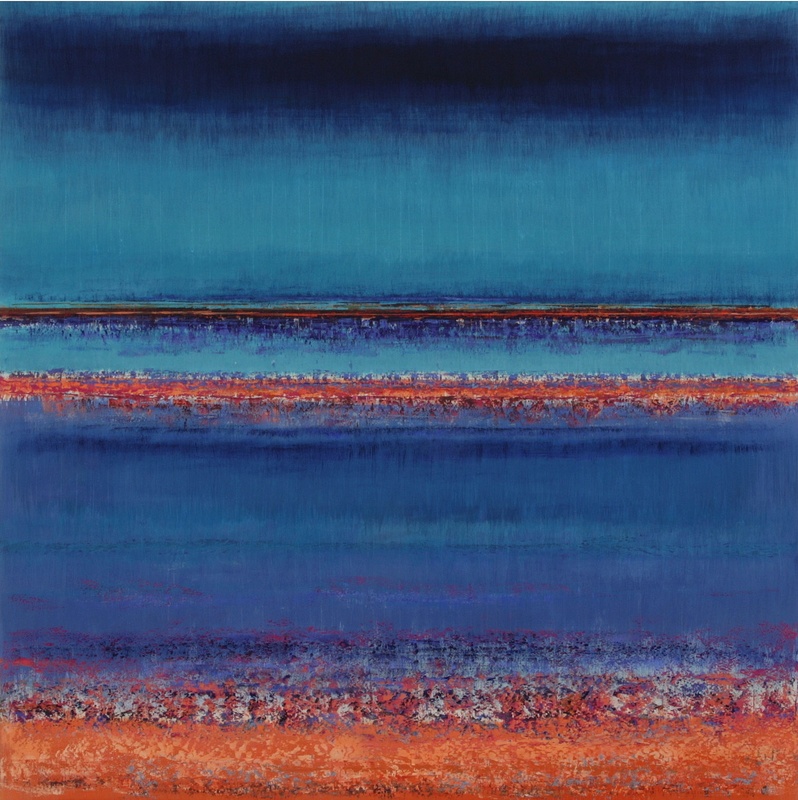 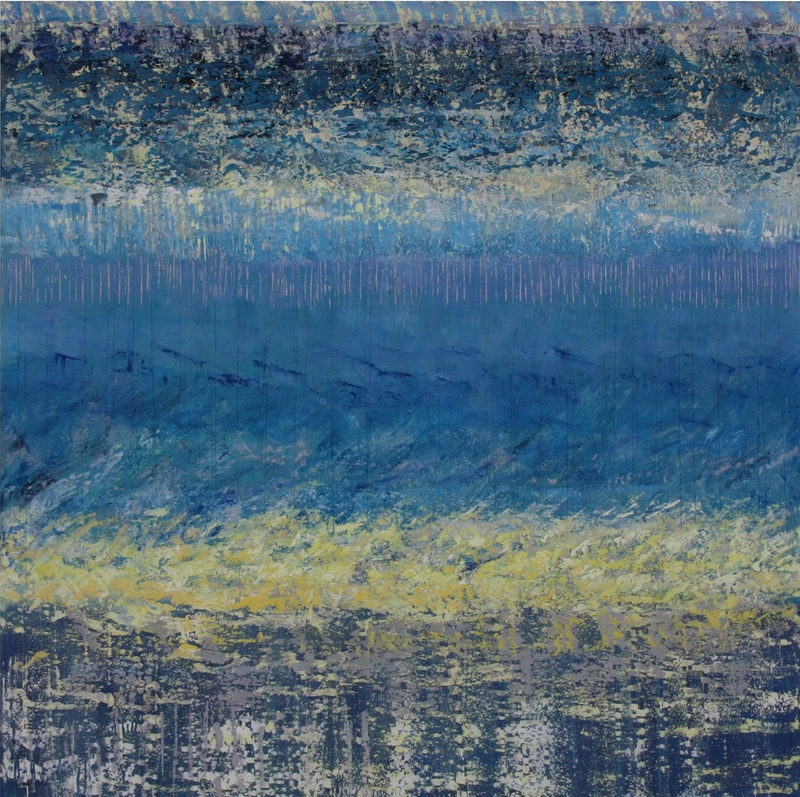 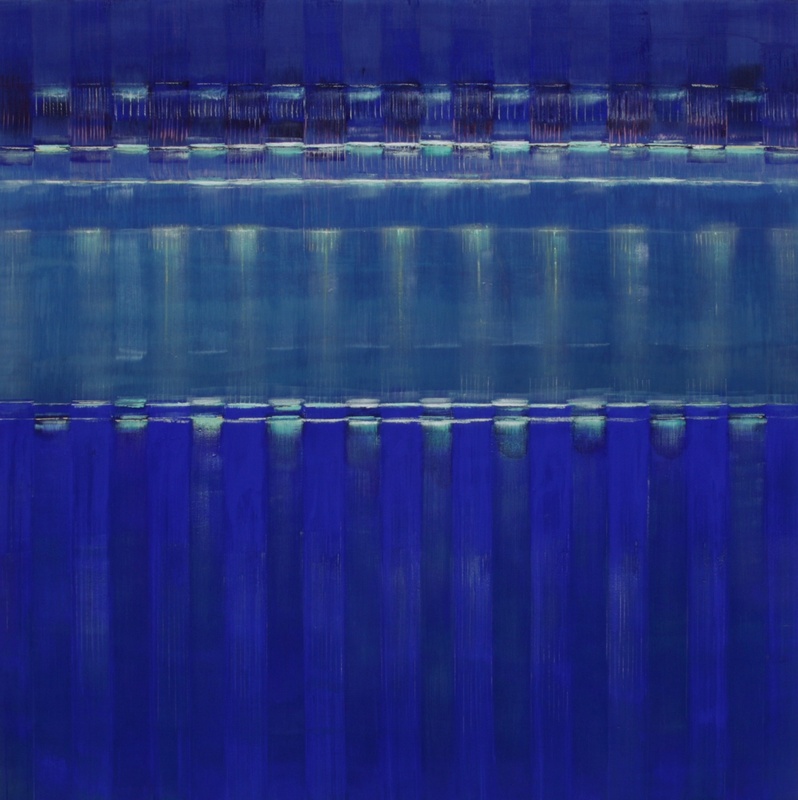 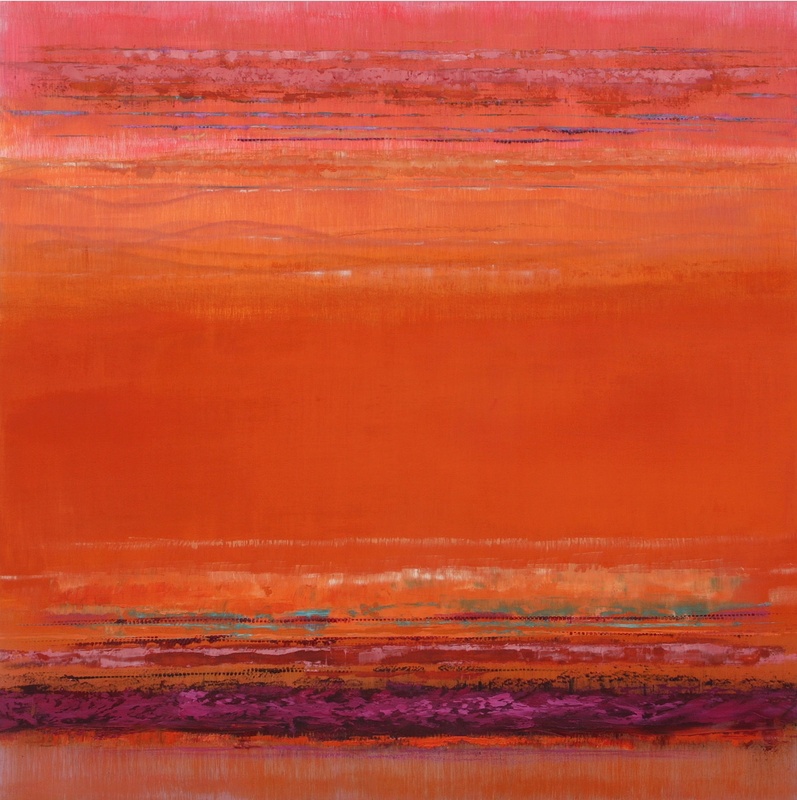 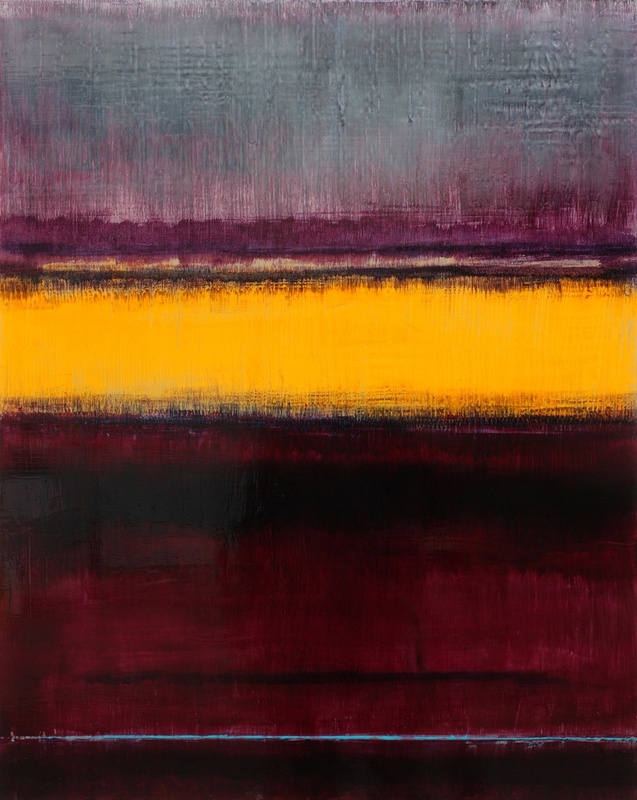 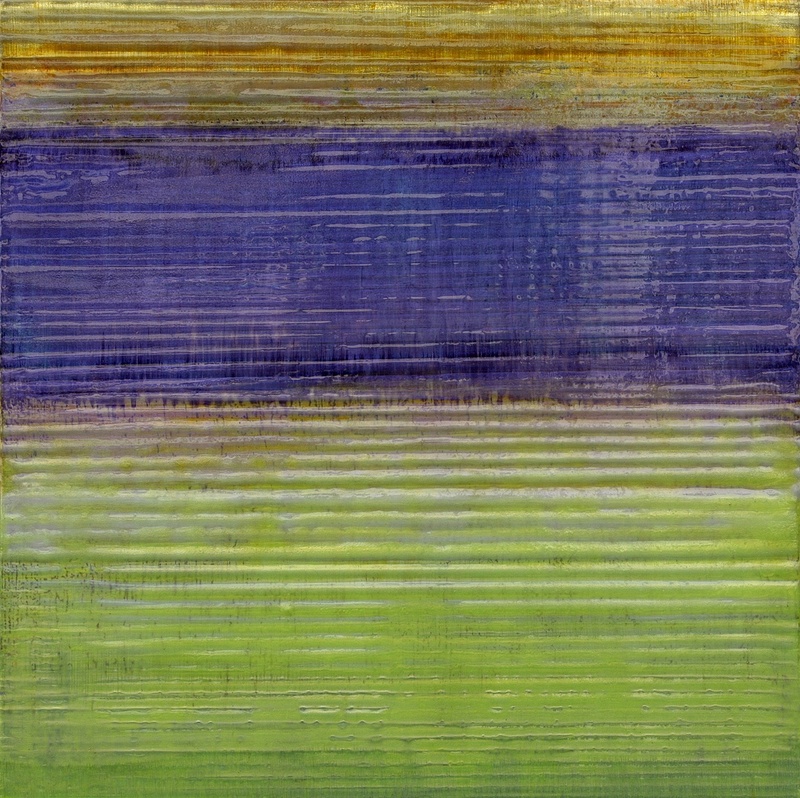 Reflective surfaces – consisting of resin, India ink glazes or transparent silk gauzes layered over a vertically delineated metal background – afford the works a striking luminosity and shimmering colour spectrum. 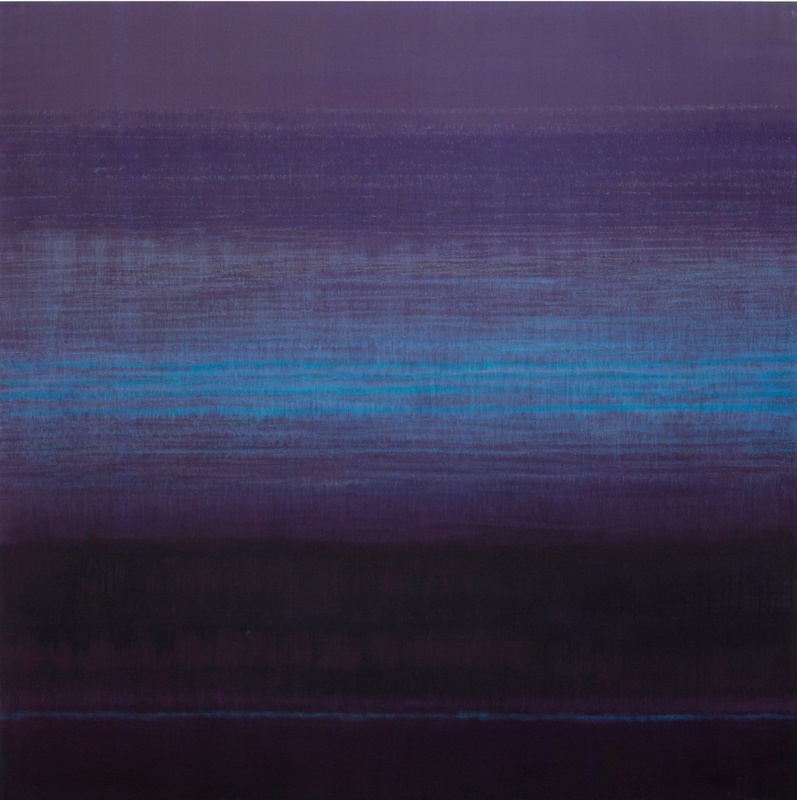 Depending on the incidence of light and position of the viewer, the paintings may be perceived in a variety of ways. 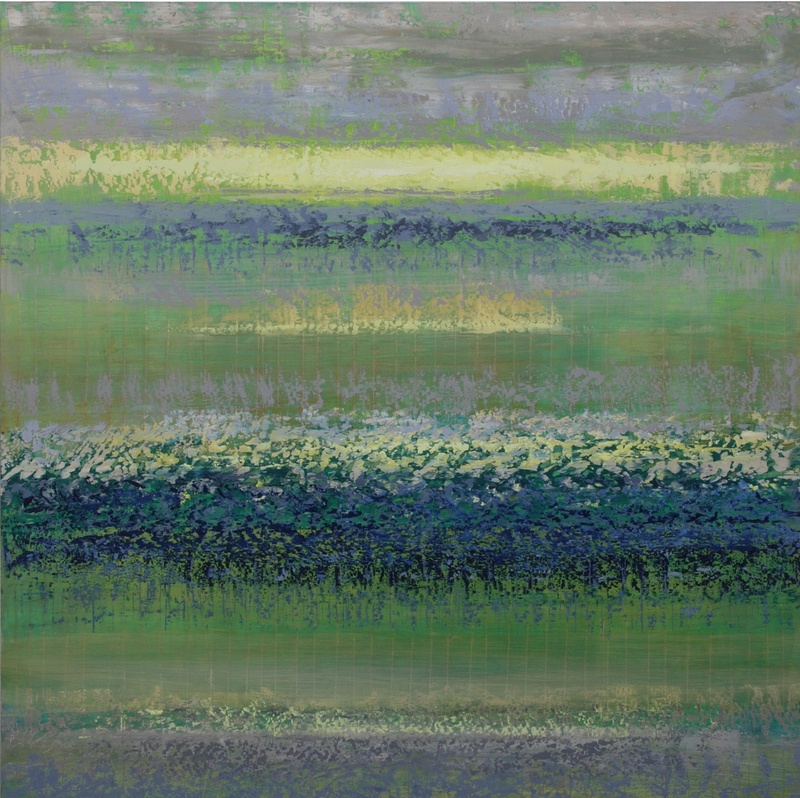 The multiple viewpoints offered by the works are the hallmark of their vitality.